The new Little Devil is a Cutty-style pipe inspired by the mini Cutty pipe that was smoked by Kevin Costner in the History Channel TV mini-series "The Hatfields & the McCoys". Costner portrayed the patriarch of the Hatfield family, William Anderson "Devil Anse" Hatfield, and in his portrayal Costner's character smoked a small Cutty pipe that has now been nicknamed the "Devil Anse". This is a small corn cob version of that pipe features a genuine hardwood bottom to prevent premature burn-through! The Lil' Devil Anse Cutty and the Lil' Devil Anse Acorn are among the best pipes I own. I just added the Cutty to my collection. Like its sibling, it's a good-looking pocket pipe with a good-sized bowl. Who could ask for more? I've had my eye on this pipe for awhile on other online pipe and tobacco sites then found it cheaper on aristocob. I have been watching the aristocob and mmbc channels on YouTube so I was already familiar with the kind of people they are. Then while ordering this pipe I received a hand written note apologizing for the delay! I only got the pipe a few days later then I expected. And I understand there was a recent family emergency. The pipe itself is beautiful and light weight. It is definitely a great clincher pipe to puff on as you carry on about you day. I will definitely be ordering any of my cobs from aristocob in the future!! Great small pipe for a quick smoke while walking the dog or poking around in the yard. Bought one of these just a few weeks ago and it's rivaling my Country Gentleman for my favorite. Excellent nosewarmer. It is my go to pipe for everyday smoke. Great service. 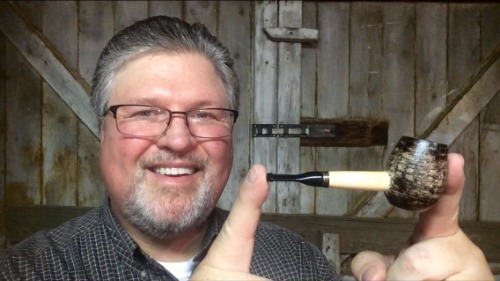 I have bought other pipes from Scott and follow him on u-tube. Personally I think Aristocob is the only place to by cobs.